Here we have the system in action earlier today. 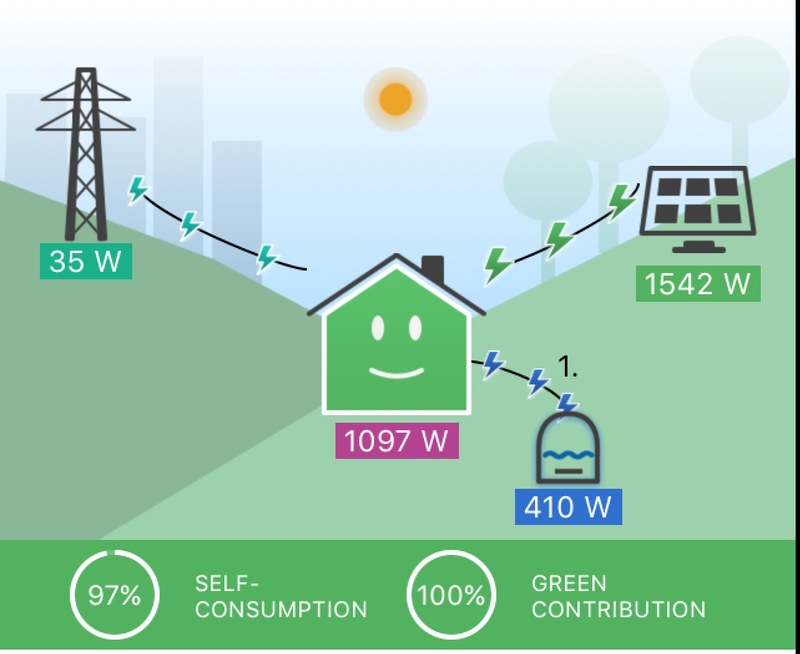 With 1542 Watts coming from the solar panels, the house (including the PowerVault storage battery) is running at a maximum of 1097 Watts, with the balance of the available power controlled by the ImmerSUN- 410 Watts to water heating and at the point of this snapshot 35 Watts into the grid. 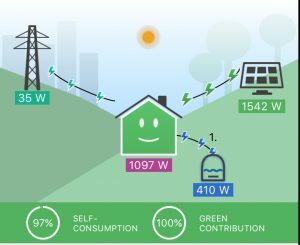 At this moment that’s 97% of generation used as such self-consumption and 100% of energy being consumed coming from the solar panels. if the ImmerSUN had priority then it would have taken all the available power leaving nothing for the PowerVault storage battery. This entry was posted in Energy Smart on 15/10/2017 by Greening Me.